Additionally, the XR75 x-ray inspection system incorporates new advanced long-life technology for critical system components. Long life, low-power components have been implemented, as well as an x-ray tube/generator and detector. This low-output generator reduces heat generation, eliminating the need for a cooling system and resulting in a 30 percent reduction in power consumption. 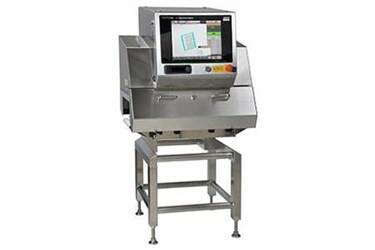 Overall, the XR75 x-ray inspection system can reduce lifetime operating costs by more than 20 percent, making food inspection more affordable. 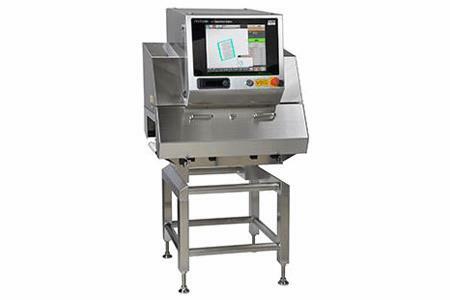 Anritsu food x-ray inspection systems evolved over the years, incorporating new technology along the way and becoming ever more accurate, stable and reliable. Thousands of x-ray inspection system installations in food and pharmaceutical facilities all over the world are a testament to the reliability of our equipment. Our industry leading technology and decades of expertise build in reliability in every design, which is then backed by our preventive maintenance crew. The Anritsu food x-ray system includes virtually every algorithm you may need to inspect your product. In addition, features such as variable speed conveyors, variable power x-ray source, HACCP support, Ethernet connection and many other features provide the user with a long-term, flexible solution for any new applications that may require x-ray inspection.